I was very honored to be the guest last night of Andy, Johnny and Tim on their latest Erasable Podcast Episode 14: Incense Cedar House Rules . My guess, given my readership and frequency of posting, is that if you’ve found your way to Timberlines, you probably already know about Erasable. Though, just in case you’re a neophyte and into pencils, then you need to follow these guys, listen to their podcasts and potentially even jump into the Erasable Podcast Facebook Group where they’ve inspired pencil exchanges and a whole host of nefarious pencil related behavior, including a Pencil Army. When it comes to anything new and interesting in the world of pencils these guys have all the fresh dirt. Or is that fresh pencil shavings? Typically I listen to podcasts while I’m walking the dog in the morning, but tonight just couldn’t wait to see how it all turned out. So I’m listening while I write this post up. One of the fun parts of the show is when they cover their “Tools of the Trade” which represent the pencils, notebooks and beverage of choice for the evening. Unfortunately I didn’t get to participate in that part of the conversation so I shared mine in my post photo above. During the discussion I mentioned my great-grandfather Philip who had run for Congress in the 1920s. One of his platforms was the overturning of Prohibition so in his honor, so last night during the podcast I was drinking Brew Free or Die IPA from 21st Amendment Brewery which is just down the street from my residence in San Francisco. I was using one of our old California Republic Palomino HB blue end-dipped pencils in an early prototype of a pocket sized notebook we were evaluating earlier this year as we refined our design choices for our new Blackwing Slate journal. My interview segment comes in at about 43 minutes into their broadcast and runs through the end. Thanks guys for including me it was great fun and I appreciate your asking me to join in and all the great feedback and put from the members of your growing Community. Pencil is Forever! Jersey City, New Jersey (August 6, 2014) – This Built America, a new multimedia platform from AOL exploring the companies and people reimagining American manufacturing, comes to Jersey City this week to profile the General Pencil Company — a company built on family and dedication that has been going strong since Edward Weissenborn founded his second pencil endeavor in 1889. In this episode, the fourth, fifth and sixth generations of the family discuss why keeping General Pencil in the family is the key to their business success. It hasn’t always been easy to keep the company afloat, or to turn away offers to buy General Pencil, but the Weissenborns feel a connection to their long running, made in America company. To view the full episode and more on General Pencil Company, visit here. General Pencil Company joins a national movement in This Built America that is devoted to supporting American companies and American-made products. AOL is proud to support the effort along with sponsor Ford Trucks. Through the year, the editorial and video teams will explore 50 states in 50 weeks to bring 50 stories of the people who are bringing back manufacturing to America. The platform is produced in coordination with Man Made Content. Last week I was listening to Johnny, Andy and Tim’s Erasable podcast with guest Brad Dowdy. This was the 11th episode in their new endeavor which I find quite interesting, even if I don’t always have time to sit through an entire episode. When I can, I check in on the Erasable Facebook group and even participate with a comment and it’s great to see the level of engagement the members have with their wood cased pencils and their developing community. This is a direct tribute to the power of social media and the leadership of these individuals and other pencil, pen and stationery enthusiasts, and it got me thinking about the role these social media technologies have had on the analog pencil industry. Today marks the 9th anniversary of Pencil Revolution’s first ever pencil review back in 2005, which featured our Forest Choice Graphite pencils. To my knowledge, as the first and original “pencil blogger” Johnny’s post was the first ever blog review of any pencil on the internet. At least for a blog specifically focused on pencils, pens or stationery. Perhaps more research is needed to validate this claim, but for now I’m making it, and congratulating and thanking John for this accomplishment. In honor of this anniversary and his selection of our product for that review, Pencils.com is offering a special 1 day only 25% discount on all ForestChoice pencils and notebooks, here. As it turns out we’ve made reasonable progress since those days using ForestChoice to promote FSC certification for wooden pencils. We’ve used this item as a driver product in our focus on providing high quality green school supplies http://gogreenschoolpencils.com/, at Pencils.com, and have even placed ForestChoice pencils in over 60,000 school supply kits this year with one key customer. More importantly, today the vast majority of the wooden slats CalCedar sells to pencil manufacturers around the world are either FSC or PEFC certified. I like to think that that first Revolutionary post, along with our continued focus on providing such materials (not to mention the growing impact and awareness of environmental and sustainability issues enabled through blogs and social media) has certainly had an impact on the commitment the industry has shown to utilizing certified woods in pencils. Johnny’s launch of Pencil Revolution a few weeks earlier and his communication with us asking for pencil samples came at a time when I myself was in the process of exploring how we might use blogging to further promote wood-cased pencils and California Cedar Products Company. In a sense, John’s serendipitous selection of our ForestChoice product, the first ever FSC certified pencil brand, provided the inspiration for me to initiate the Timberlines blog. The subsequent orders received and his response to trying out our original California Republic Palomino lead to me moving forward to launch online sales of our Palomino, GoldenBear, and Prospector range the following month. I’ve written about that previously here. As it turns out, today also marks the 9th anniversary of my 1st post on this Timberlines blog. Though I have not been a very frequent publisher, I’ve used my posts over the years to share some of my personal thoughts on topics I have felt relevant to the wood cased pencil industry and other topics on forestry management, natural history, etc. (plus the occasional promotional pitch to support a new product introduction and our goals at California Cedar Products Company). There have been many good intentions to do more, but frankly the time I spend composing what I really want to say prohibits frequent posting given all my other commitments. Let’s just say I’ve never really developed the knack of brevity, but hope that my occasional in depth posts prove of interest to some readers. Fortunately we have a great, committed team at CalCedar and, between our Pencils.com blog and our Blackwing602.com fan site, we’re producing some great creative content that supports the use and awareness of wood-cased pencils of all sorts as well as the creativity of end-users. And, it’s all promulgated with associated social media tools. In general I think we do good job and have been a leader within the pencil industry when it comes to internet marketing, communications and utilization of these tools to tell a story. There have been successes and mistakes along the way, but we’re always striving to improve and to make the most of these tools and honor the relationships and communities it allows us to develop and participate in with end consumers. 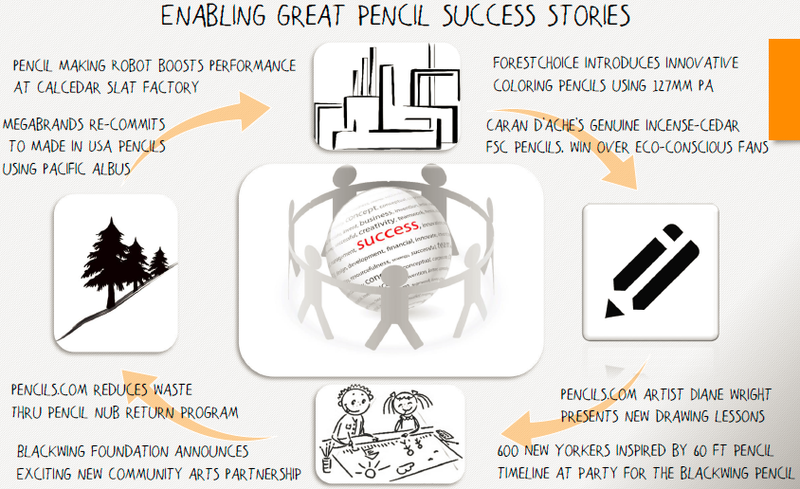 In fact I now describe CalCedar’s business as “enabling great pencil success stories from tree to final nub”. (Note: THe graphic above highlights some past successes and some in the works I used with our team to illustrate this updated vision of our business.) Fulfilling this objective requires operational excellence at many things, from technical and manufacturing knowhow to source raw materials, produce slats and support those industrial customers using our wood, to designing and sourcing unique and exciting products within our Palomino Brands unit that delight customers and dealers, to selecting the right products and improving customer service and e-commerce operations at Pencils.com that feature the wood-cased pencils and associated creative products. Ultimately many of these operational details cannot succeed without also telling these stories, engaging and listening to our customers and building new success stories. These social media tools have been the great enabler and have allowed our company to accomplish numerous successes so far with our Pencils.com store, and Palomino, Blackwing, and ForestChoice products, and to keep telling the great stories of our customers using our wood to make many of the best brands of pencils on the planet. Without a dedicated commitment to using these tools, and the ongoing support of people like Johnny, Andy, Tim, Brad and you, CalCedar would look like a much different (read older, more tired) company today. 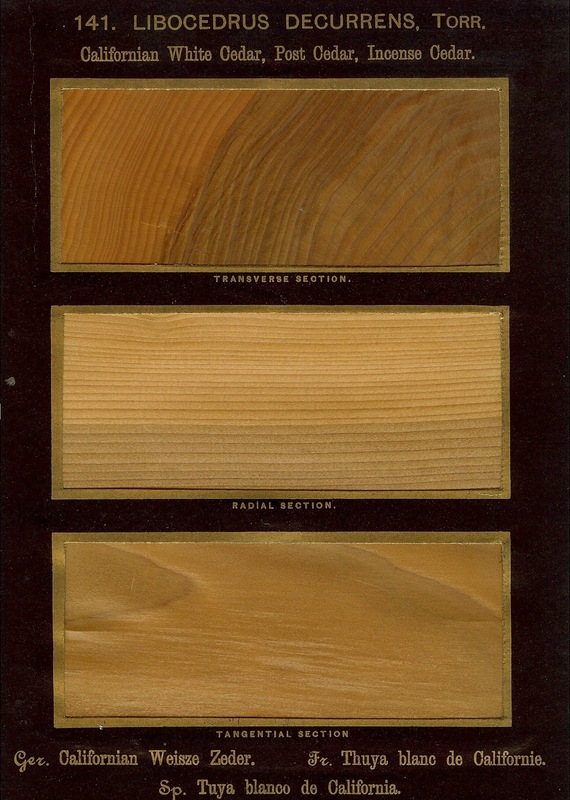 So, for us, these things have been a transformative process, yet we remain every bit as committed to our traditional slat customers today in providing great and competitive wooden slats. Towards the end of the Erasable episode the crew talked about a recent article in the New York Times positing that pens and other writing instruments were dying product categories, given the continuing advancement of computing and communications technology. I was enthused to hear the gang vehemently disagree with the author and talk about subjects dear to my heart such as their feeling of connectedness to their writing tools and the textural, tactile sensation one gets when writing or drawing on paper with graphite, ink or other materials. It’s a sensory experience that just isn’t replicated well through all this new technology. Perhaps this article was somewhat wishful thinking by the author, hoping for some company along the way, based on what’s been happening to newspaper circulation (which is an industry I’d suggest is much more clearly being disrupted by these technologies). While one may discount pencil bloggers and their followers by claiming that they are just small groups of obsessed people talking about their beloved pencils on the web, the reality is wood cased pencil production continues to grow globally at about the rate of world population growth. In my view, the wooden pencil remains the most affordable and efficient writing tool in the world and increasing levels of education in the developing world correlate with increased consumption. 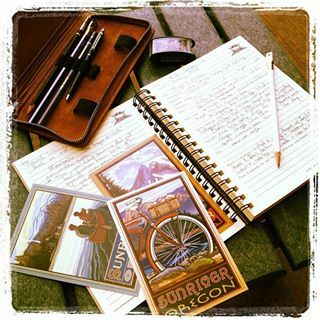 In more developed countries, yes new technology has some impact on use habits of writing instruments, but after a generation of commoditization and quality reduction by large mass retailers focused primarily on price, there are many people rediscovering the joys of writing and creating in graphite resulting from interesting product reviews and stories from the web. Frankly I think those are all some pretty good stories. So what’s your pencil success story? We’re listening and hope to help you share it. 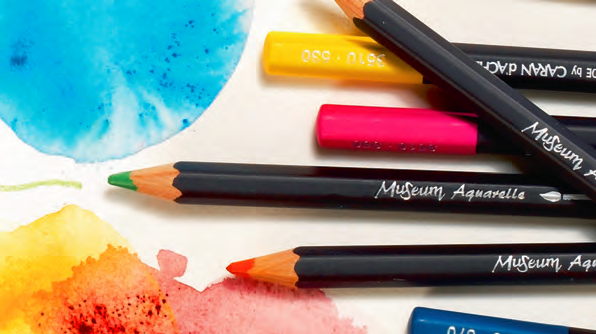 Earlier this summer our Pencils.com unit began offering a selection of outstanding graphite and color artist pencils from Caran d’Ache, the Swiss producer of extremely high quality art materials and writing instruments. Known as the “Maison of Haute Ecriture” the company’s products feature “Swiss Made” quality, subtle luxury, craftsmanship, authenticity and contemporary personality that set an aspirational benchmark within the creative art materials and writing instrument industry. Originally founded in Geneva, Switzerland in 1915, as Fabrique de Crayons Ecridor the company was acquired in 1924 by Arnold Schweitzer, predecessor of the present day owners. At that time Mr. Schweitzer acquired his pencil factory he gave it the name Fabrique Suisse de Crayons Caran d’Ache in honor of a famous French artist he very much admired, Emmanuel Poiré. Under the pseudonym “Karandash”, which is the Russian word for a pencil, Poiré worked as a designer and caricaturist in Paris during the Belle Epoque. The term “Karandash” is derived from the Turkish phrase “kara tash,” which means “black stone,” referring to the graphite found in pencils. He was most famous for his “Stories without words” which were printed by most of the illustrated newspapers of the time, and he is considered one of the fathers of the comic strip. In fact, the painter’s original signature, slightly modified, is still used today as the highly distinctive logo of all Caran d’Ache Fine Arts products range shown here. We at CalCedar are extremely proud of our multiple generation association as wood supplier to Caran d’Ache and of the close relation between the family owners of both companies. This relationship began with my grandfather who travelled annually to Geneva, visiting his friends at the factory, consulting on technical matters related to wood machining and pencil making followed by a period of hiking the glaciers of the Swiss Alps. The commitment to excellence in use of quality materials and technical processes to produce superior products in a responsible manner are mutually shared values of both companies. One important example of this long collaboration and shared values is the commitment Caran d’Ache demonstrates to supporting responsible forestry practices through the utilization of our FSC Certified slats in all of their Incense-cedar pencils throughout their product range. All of the Caran d’Ache pencils offered on Pencils.com feature FSC cedar wood in combination with superior pigments, product performance and craftsmanship. 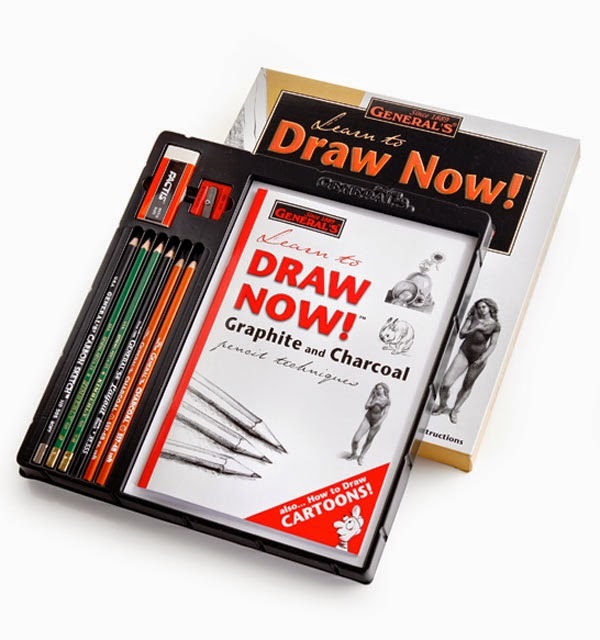 Our current offerings include the 120 strong color pallets of both their famous Pablo coloring pencils and their Supracolor watercolor range, the extensive 15 grade range of Grafwood graphite pencils and the outstanding set of Artist Series pastel selections covering 84 vibrant colors in both pencil & cube form. All these top professional quality ranges offer rich and smooth coloring performance for fine artists with great coverage and high lightfast performance. Many of these have long been used by some of the most noted pencil and fine artists past and present. Now I’m also very excited to announce that we will be adding in the coming days and weeks a larger mix of fine Caran d’Ache products including an interesting selection of ball point pens, mechanical pencils, fixpencil and some specialty gift selections which represent totally new categories of products to the Pencils.com store. This selection has been curated to extend our commitment to creativity in offering one stop shopping for the best of wood cased pencils and a growing range of outstanding artist and writing products as we enter the holiday gift giving season and a variety of price points. While we won’t be adding any of the Ultra-Luxury fountain and ball point pens Caran d’Ache is well known for, we’ve selected a couple of classic and stylish pens that we think complement our fine and general writing pencil selections and demonstrate the great writing performance of Caran d’Ache products as well. Also to improve our commitment to educating our customers about products we offer on Pencils.com our Studio602 blog will publish a series of more detailed product posts regarding different Caran d’Ache product ranges in the coming weeks as well. Recently, our Palomino business unit announced the newest addition to our Blackwing pencil range, the Blackwing “Pearl”. Here is the first photo of the “Pearl” set to make it’s official debut on May 2nd at Pencils.com and other dealers around the world. You can register for the Studio602 newsletter updates at Pencils.com for more information on just when the product will go live. May also marks two years since we introduced our “602” model as a follow up to our first Palomino Blackwing pencil launched in October 2010. Since then, we’ve focused on building awareness and distribution for our two Blackwing pencil models, as well as our flagship Palomino and ForestChoice brands. This included introduction of a complementary range of high quality notebooks and sketchbooks. We’ve been pleased with the progress, as many of these three product ranges are now available in an increased variety of online and independent retail stores throughout the U.S. and Canada, as well as growing international distribution in Europe, Australia and Asia. Over the past two years, we’ve received numerous requests for new Blackwing items from fans as well as our dealers and distributors. Many want new color combinations for the casing and/or erasers and others have made suggestions for alternative graphite formulations. We’ve also considered numerous requests for custom imprint services on Blackwing pencils similar to the custom imprint options now available on our traditional Palomino HB eraser tipped pencils. One of our key concerns in introducing any additional Blackwing pencils has been positioning the new pencil for use when it comes to differentiation of the graphite performance. In the tradition of the original Eberhard Faber Blackwing 602 pencils, we’ve never published a specific hardness grade for our Blackwing models. When we launched our 602 model in 2011 we introduced the “firm and smooth” and “soft and smooth” descriptors to differentiate the new pencil from our original Palomino Blackwing in the black matte finish, which has a much softer, buttery feel loved by those doing a lot of sketching, music notation and other activities that require a dark mark. The “firm & smooth” 602 has been well received by those doing extended writing and note taking who want longer lasting performance between sharpening in a pencil that more closely replicates the original Blackwing 602 in performance, look and feel. Adding new grades and colors and keeping such graphite performance descriptors certainly foretells future taxonomy challenges and increases potential for confusion among consumers, so we’ve thought much about this before proceeding. In fact we’ve already had a few interesting suggestions from fans on coming up with our own Blackwing graphite grade scale to simplify things down the road. Given that we already have a well-received graded graphite range in the Palomino brand, we’re not looking to replicate that by continuing to add a large variety of graphite grades in the Blackwing brand. In selecting a course of action for adding one additional grade we could have gone firmer than the “602” or even softer than the Blackwing, but we experimented with several options and looked at things within the context of our wider artist graphite range and decided to go for something in the middle to fit the broadest user base which offers about the same darkness of the 602, with a bit softer feel that still gives improved wear rates vs. the “soft & smooth” model. We’ve decided to call it our “balanced & smooth” formulation. For the casing décor, we chose a completely new effect by adding a pearly luster finish to contrast with the flat matte black of the Blackwing and the gunmetal metallic look of the 602 model. White is our most requested color for lacquer finishes and we think it looks just great with this new finish style. 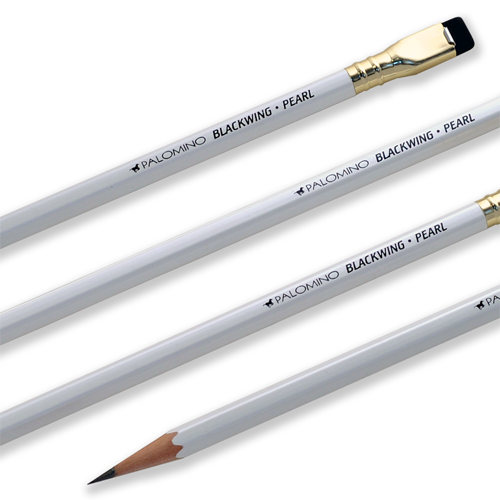 Thus the combination of white lacquer and pearly finish lead us naturally to name this pencil the Blackwing Pearl. We chose a black imprint for a stronger contrast, which looks great with the black eraser combination. In fact, we think the Pearl will look great with all six of our available eraser colors, which allows for further personalization or “hacking” for those so inclined. We can see the Pearl being popular for use in home office décor or used as great guest gifts in weddings and other special events, but also well received for a broad range of existing uses by our fans and new initiates. In reality, regardless of the many different uses of our Palomino or Blackwing pencils, the selection of any specific pencil is always a matter of personal preference. In that sense, we think there is plenty of opportunity for you to find the pencil that is “just right” for your individual taste or a specific need in different situations throughout our full Palomino family as it’s grown and adapted over the past two years. We hope you’ll try out the Pearl and continue to discover the great function, design and performance of our developing Palomino family of products that help you to express your creative spirit in new and exciting ways. Over the past year or so I’ve been providing some techincal advice and input to the Competitive Enterprise Institute (CEI) producers of a new video based on Economist Leanard Read’s essay, I, Pencil. I was in Washington D.C. a couple weeks back and met with them though unfortunately I missed thier launch party for the video presentation. I’ve written about that essay before here. The CEI has put together a nice website ipencilmovie.org that includes the movie and a supporting curriculum and many other resource links. So it’s a great new resource for teachers wishing to give thier students a good introduction to some of the key economic concepts behind Read’s essay. We’ve agreed to do some cross links from our Story of Pencils pages over at at Studio602 on Pencils.com, to help build awareness of this new learning resource. to how I see this topic coupled with other developing industry trends. 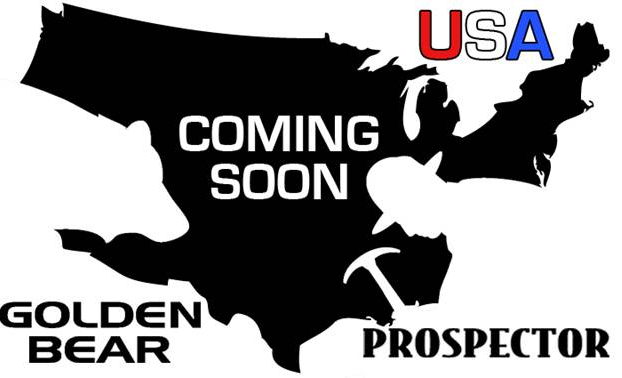 optimistic about U.S. potential from the macroeconomic stand point. writing instruments and pencils as a whole. Teachers often report that the simple act of more frequent breakage and sharpening has become a disruption in the classroom. space allocation is offered to traditional quality manufacturer brands. benefits for the U.S. pencil industry also. be more flexible with quicker response times. that was reached about two or three years ago. adapt and innovate to remain competitive. increasingly burdensome regulatory environment overwhelm us over the long term. As the U.S.
our premium California Incense-cedar product range. with one of our slat customers Musgrave Pencil Company to produce these items. offering a “Made in the U.S.A.” product selection in our Pencils.com store.